After six years of focusing on her career, Natalie Armstrong craves the peace and tranquility that only Sapphire Bay can give her. But returning to her grandparents’ cottage isn’t as easy as she imagined. No one told her about her houseguest or the unexpected changes in the small town she calls home. Gabe Lanigan is a former NYPD detective. His new career as a bestselling crime writer has brought him everything he didn't want - fame, fortune, and a deep distrust of strangers. When Natalie arrives in Sapphire Bay, their unlikely friendship sparks into something he never expected. But the real reason he left New York City is closing in fast and Natalie is standing in his way. 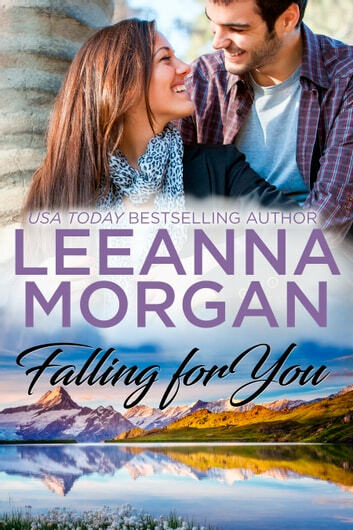 Falling For You is the first book in the Sapphire Bay series and can easily be read as a standalone. Each of Leeanna's series are linked so you can find out what happens to your favorite characters in other books. If you would like to know when my next book is released, please visit leeannamorgan.com. Happy reading! Keywords: Heartwarming, small town romance, love, mystery, ranch, cowboy, friendship, family life, series, Montana, relationships, love, wedding, bride, suspense, family saga, second chance, clean & wholesome, adventure, second chances, bodyguard, FBI, police, inspirational, community, holidays, Christmas. Loved this book! It was the perfect length and included love, friendship and a bit of suspense!